Earth Rebirth, a local non-profit organization that seeks “to bridge the gap between economic and environmental problems” is working with CASP in it’s Garden Your Own Growth Program. 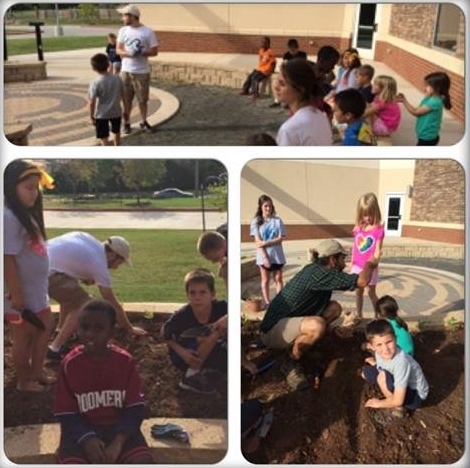 Led by Stan Khrapak, Earth Rebirth interns are putting this mission into practice by teaching CASP kids at Reagan the ins and outs of growing a garden. 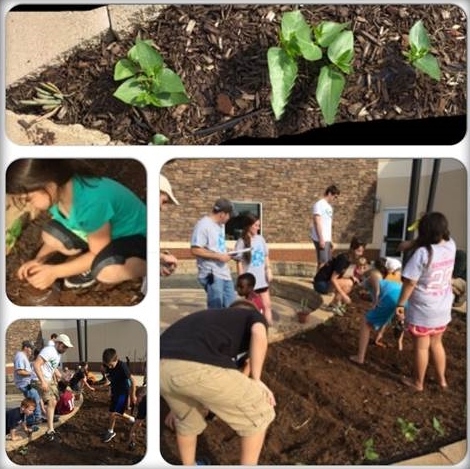 This week marks the 4th week of organic planting and teaching at Reagan and the kids are having blast learning just how fun gardening can be. Thank you to Earth Rebirth for teaching our CASP kids this awesome skill! 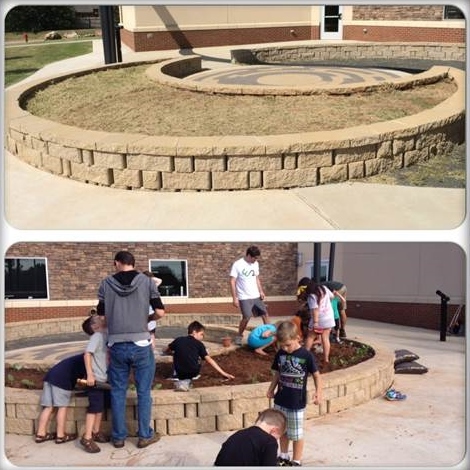 Below is a before and after picture of the project! The top picture shows the garden area before Earth Rebirth started the program. On bottom is the garden from week three. The students are planting Carrots, Kale, Lettuce, and Spinach. You can see the pea plants already growing from the planting Earth Rebirth did in week two. ​Below is a picture from week two. The Earth Rebirth crew is installing the irrigation system! The students excitedgly work in the garden and transplant their pea plants from pots into the soil. 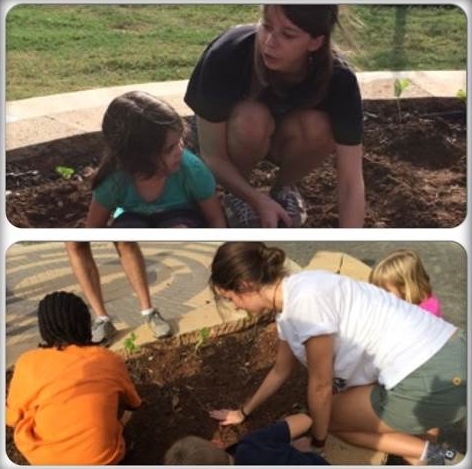 ​Members of the Earth Rebirth gardening crew assist CASP kids with seed spacing in the Reagan Garden. Pea plants are showing remarkable growth in week three. Students are excited to dig furrows and plant more seeds. The students work together to accomplish their goals with the guidance of skilled Earth Rebirth members. ​Below, students gather around the garden and get instruction on how to proceed with the planting process. 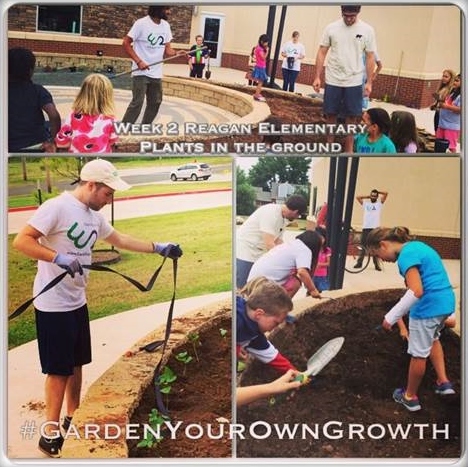 Students engage each Garden Your Own Growth structured lesson with enthusiasm. Garden lessons are designed to be inclusive and experiential. ​The Earth Rebirth team finalizes the installation of the irrigation system in week three. CASP leaders can now easily water the garden with a turn of a key. 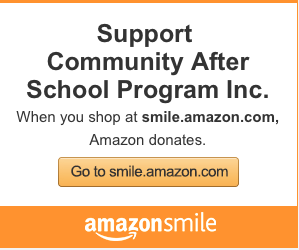 To learn more about Earth Rebirth, click on the logo below to be taken to their website! 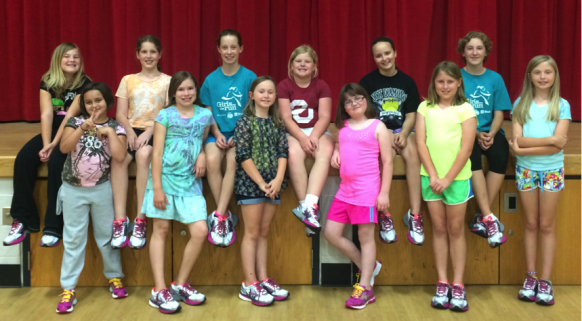 Girls On The Run Participants Receive Tennis Shoes! 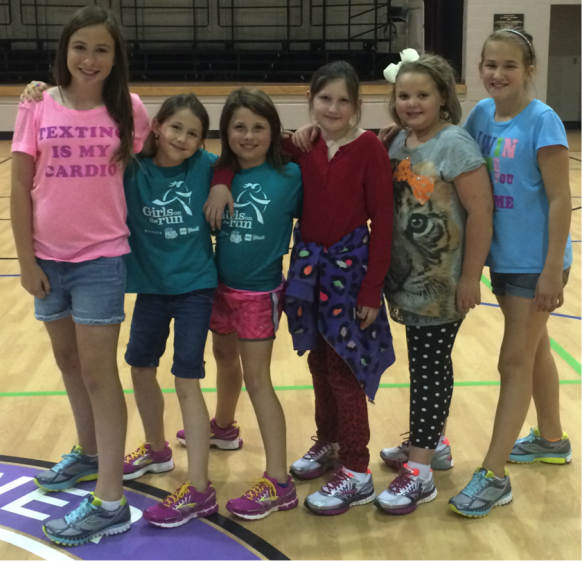 The CASP Girls On The Run participants received their Brooks tennis shoes along with some tasty snacks at their end-of-the-year party! 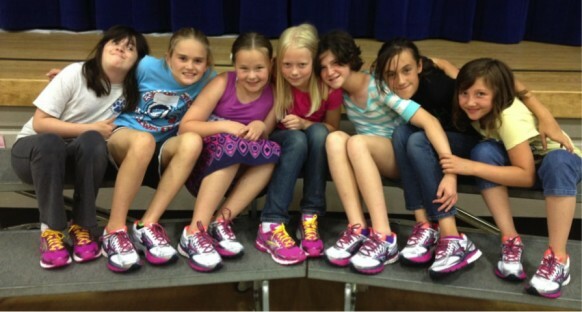 The girls will get to keep their shoes and wear them at the 5k run later this month. 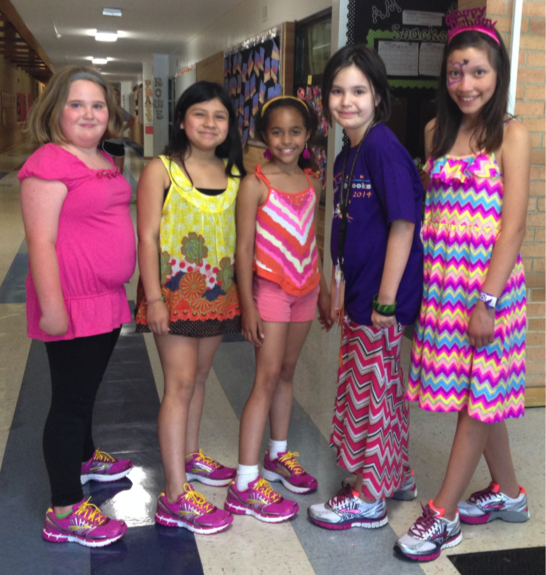 We had a very successful first year of Girls On The Run and hope to continue the program next year! 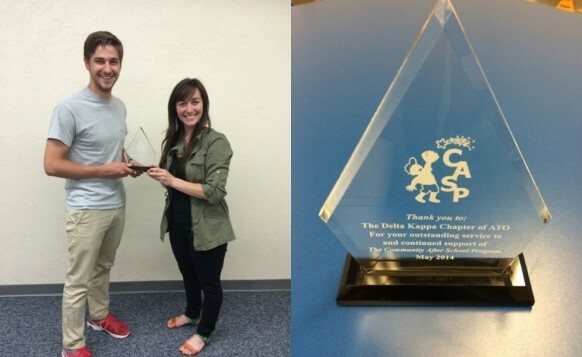 CASP presented ATO with an award to recognize the outstanding service that members of ATO have given us this past year. William Moon (pictured below) planned the first inaugural Spooky Sprint and 5K to benefit CASP this past year. Will and members of ATO did an excellent job planning and pulling off a very fun event for CASP and the community, and all proceeds went to benefit CASP! In addition to this sevice, ATO members also served as volunteers at CASP’s 40 year Anniversary Party. CASP wants to recognize ATO members for their outstanding service to us this year and we look forward to a continued partnership! CASP held its 40th Anniversary Celebration on March 1st, 2014. The celebration was a success, with over 300 people in attendance! The first 100 elementary aged students received a free t-shirt. 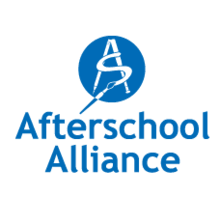 Attendees ate a hot dog dinner and kids were able to enjoy two bounce houses, an obstacle course and an 18-foot slide, as well as a book walk, giant twister and a craft table. ATO Successfully Hosts a “Spooky Sprint and 5K” to Benefit CASP! OU Alpha Tau Omega successfully hosted a “Spooky Sprint and 5K” on November 3rd to benefit CASP! Kids had a blast dressing up in costumes and running the spooky sprint. ATO also hosted a free carnival for race participants, complete with a dunk tank, sack races and games such as “boo bowling”, “balloon pop” and more. Theere was great participation in the 5K, with CASP kids and parents participating, as well as CASP alumni and members from the OU community. CASP would lik to thank the race even sponsors, as well as William Moon and OU Alpha Tau Omega for all of the hard work given to benefit CASP!